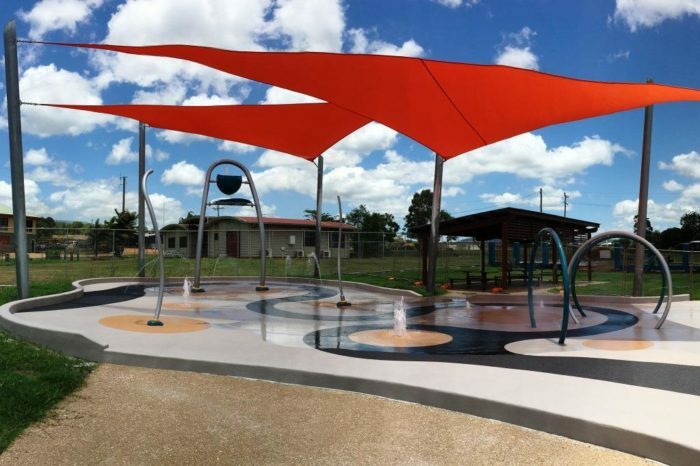 The Hope Vale Aquatic Centre has seen an exciting upgrade with the inclusion of a fun zero depth splash pad that will keep children engaged for hours on end. 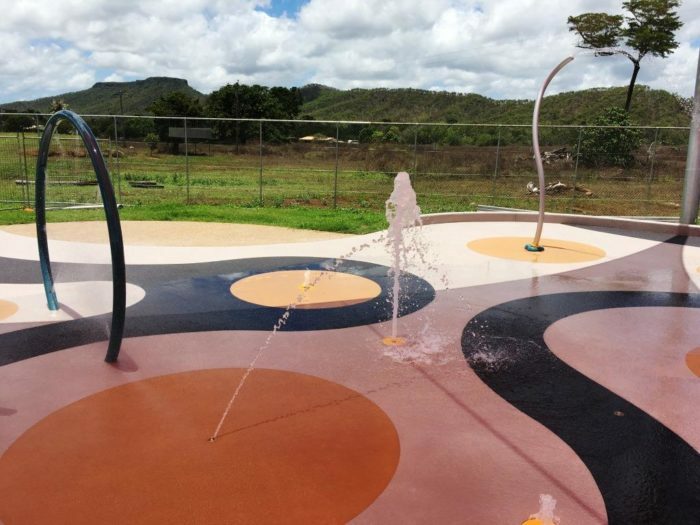 Adjacent to the existing pool facility, the splash pad has been designed into two areas of differing activity levels in each. The Verso Splash is the highlight piece providing an unexpected splash as the water spills out of the giant bucket, splashing off the acrylic dish to excited players underneath. 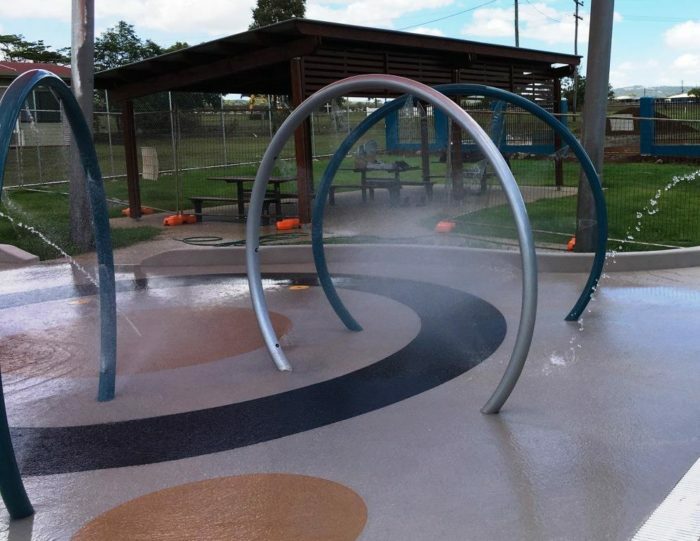 Surrounded by ground sprays, children can enjoy the interactivity of these jets while the bucket fills up again. The adjacent area is full of interactive water features with fine misting sprays releasing from water hoops, tall architectural style water spouts and an assortment of ground sprays producing varied water play effects – high, low, thick, thin, bubbling, spurting – something for everyone to engage and excite users of all ages and abilities. 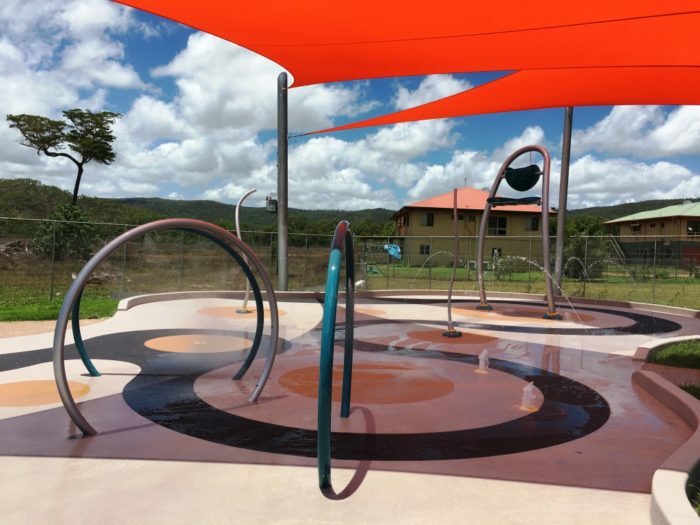 Piggy backing off the existing pool infrastructure enabled a cost effective solution for this community and an enhanced recreational space. 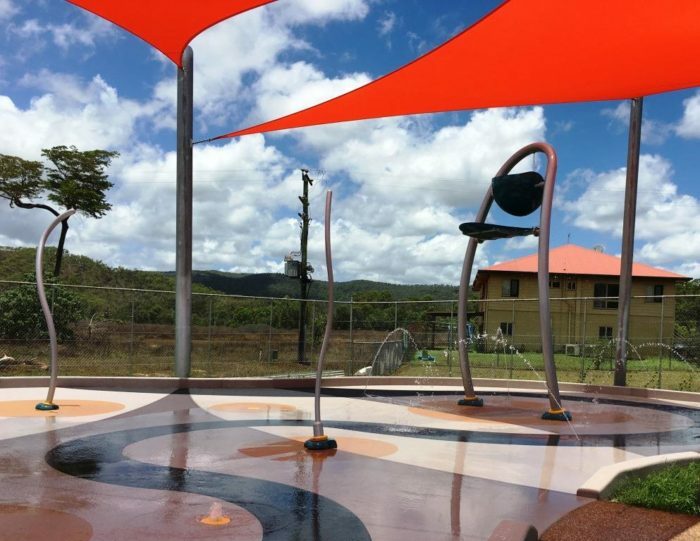 The overall design has been complemented by colourful shade structures and a communal shelter with ample seating – ancillary products also supplied by PSC. 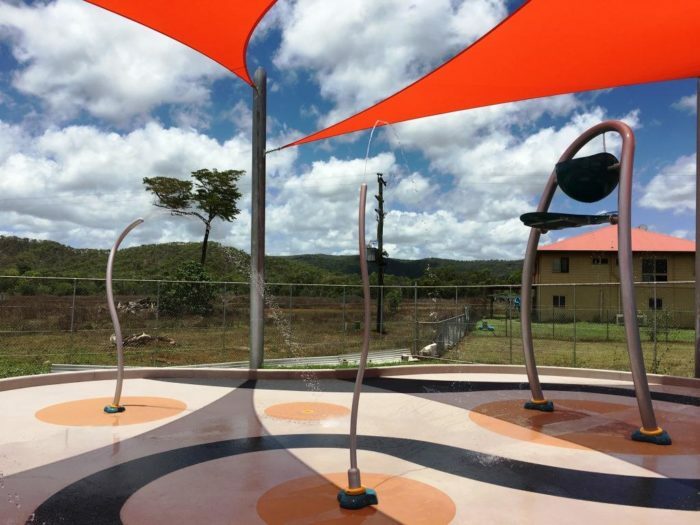 Working in such a remote environment about 5 hours north of Cairns wasn’t without its challenges, however working closely with the local indigenous community, local Cook Town contractor Brackenhurst Contracting and Council staff, there was nothing that couldn’t be sorted. 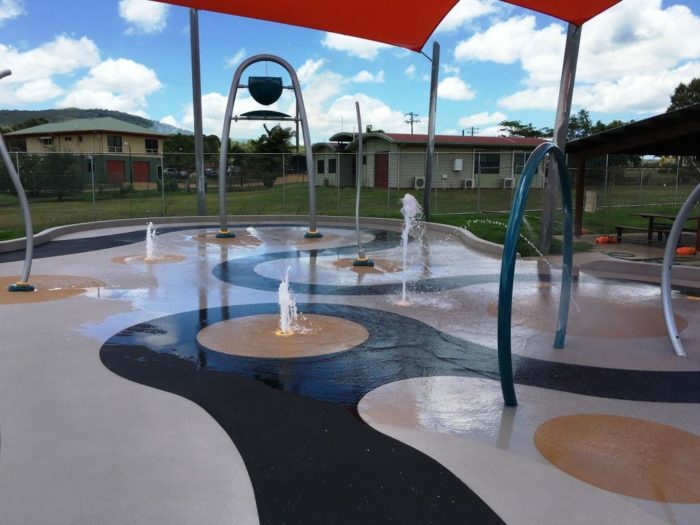 Brackenhurst Contracting provided local civil works along with specialised concrete finishing, including the Stylepave surface – a unique system for creating a vibrant attractive area. 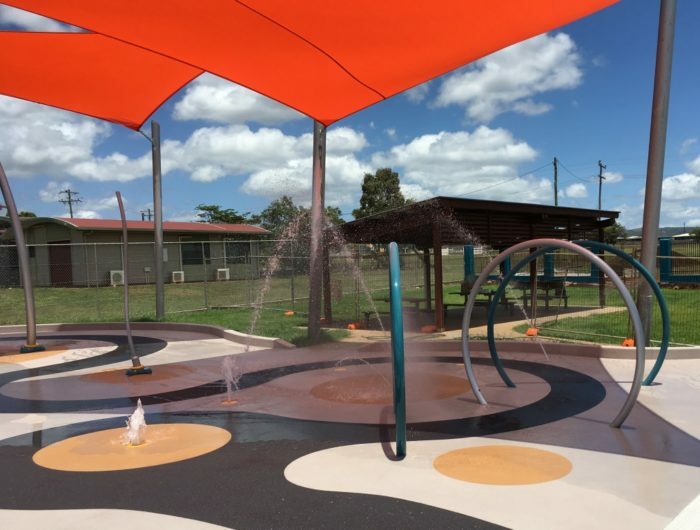 Hope Vale Aboriginal Shire Council has been a fantastic client to work with and we welcomed the opportunity to deliver such a fantastic aquatic project for the community.